Modern yoga defines asana as posture. Hence any static position can be considered an asana. The Sanskrit word ‘asana’ comes from the root ‘asi’, which means, ‘to sit or to be’. Literally, the word asana means ‘a state of being’, which initially can only be achieved whilst in a seated position. Saga Patanjali, the author of the Yoga Sutras, does not give any specific asanas to practice he only says that the posture must be steady (Stira) and effortless (Sukha). These seated positions allow one to experience Being, amidst the busyness of a mind that’s obsessed with doing. So to practice what many people today call yoga is actually rather practicing a series of postures that traditionally speaking will allow one to sit, for long periods without suffering from the aches and pains associated to worldly living. 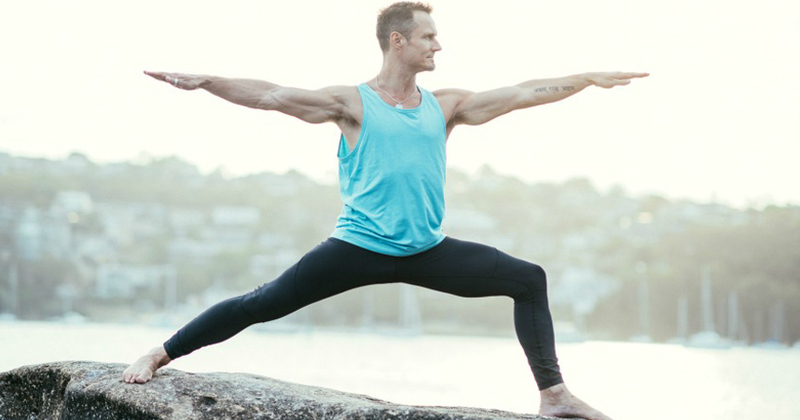 Asanas are taught all over the world and have even recently been said to be the number one extra curricular activity within Australia, more so than golf and cricket! To put things into perspective, what most of us are technically practicing is Hatha Yoga postures, which is deemed as a preliminary practice to Raja yoga which is the path of meditation. There are also four more branches of yoga that an aspirant may be eligible for. A student of five years (beginner) whom I recently spoke to, inquired as to what’s next? He said that he didn’t feel any further progress was occurring for him. So I inquired what was it that he thought he should get from the practice, but he wasn’t sure and found that all he was really getting was a good session of exercise. So then lets take a look at what is the goal of asana. In earnest, every yoga pose has great health benefits but to name a few, they improve muscle and joint flexibility, improve overall strength, improve balance, reduce stress, reduce hypertension and anxiety, reduce symptoms of lower back pain, can be beneficial for asthma, increase energy and decrease fatigue, shorten labor and improve birth outcomes, improve overall physical and mental health, improve diabetes management, reduce sleep disturbances, improve blood circulation and can reduce weight. Traditionally speaking, one goal of asana is to open the hips and strengthen the spine, allowing an aspirant the greatest opportunity – to sit comfortably in meditation. “You are only as old as the spine is healthy!” The intervertebral disks are a-vascular which means they don’t gain blood supply. It is only through movement that the disks gain nutrients. Movement is magic but to bend without bandha or engagement of the core, it’s possible to do more harm than good. This leads me to the next goal of asana, which is to develop awareness. Awareness really is the goal. What does this mean? It means to use a higher mind (buddhi) to observe the functions of the lower mind (manas) and the mechanics of the body. What is the natural blue print of your body? What is the best way to hold the body, to move the body and to care for the body? To answer these questions, awareness is paramount. The type of awareness the yogis call ‘Chit’ is the type that lacks duality, where the Consciousness is unconditioned and thus indescribable. Samadhi is the final limb of the eight limbs of yoga. A state of consciousness other than the worldly or mundane can be achieved through intense focus upon the breath with eyes kept steady as one flows. You’ll truly never know unless you have a go! Single pointed attention upon the breath, whilst practicing awareness of all that is occurring physically and mentally, is one of the prelims to deeper practice. Asanas become yugasanas (yoga posture) when the aspirant allows him or herself to remain introverted throughout the practice, which inevitably will help bring more balance to a mostly extroverted life. One of the easiest ways to dive deep inside is to sit comfortably in a yugasana, daily and at least start to nudge away at the conditioned mind by sitting for as little as three minutes in the beginning. May life bless you with motivation to practice.